I don’t think the budget makes a significant change as things stand at the moment, she said. As far as getting nursing more involved in HIV care, this is something that’s going to take some time … it’s a matter of making sure nurses are well-versed and well-trained in the HIV area. ASHM released a report earlier this month calling on the HIV sector to broaden its approach to patient care. The strain in HIV mirrors, in many respects, the strain on the health system generally. Where you have more doctors, you have more doctors who can do HIV medicine. Where you have fewer doctors, you have doctors who have competing demands on their time, she said. We’re seeing a shortage in the medical profession. We’re seeing a shortage in lots of different doctors and, yes, we are also seeing a shortage in the HIV area. 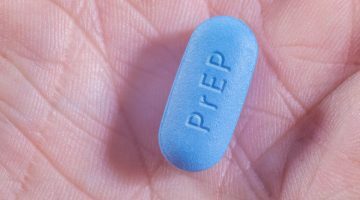 Positive Life spokesman Rob Lake said people with HIV often use the same drug for up to three years. If nurse practitioners could repeat scripts it would free up the time of GPs. One of the issues for us is there aren’t that many GPs who work in HIV and they’re all very busy, he said. If you could spend that 10 minutes talking about your broader general health, instead of having another script filled out, then that would be good. Being able to talk to a nurse about other health issues would also benefit the patient, he said. Meanwhile, the NSW Government is considering a reform to the dispensing of HIV medication. Currently most antiretroviral prescriptions can only be collected from hospitals during business hours and only in quantities up to one month’s supply. HIV groups have been lobbying Health Minister John Della Bosca to ease the burdens on HIV patients by allowing three-month prescriptions, but SSO understands he is yet to make a decision. For working people. it’s a serious issue. For people who aren’t out about their HIV status, they have to tell their boss they’ll be away from work for two and a half hours and can’t tell them why, Lake said. People in the country can travel for up to several hours to a community health centre. Della Bosca’s office said it did not have an announcement at this time.